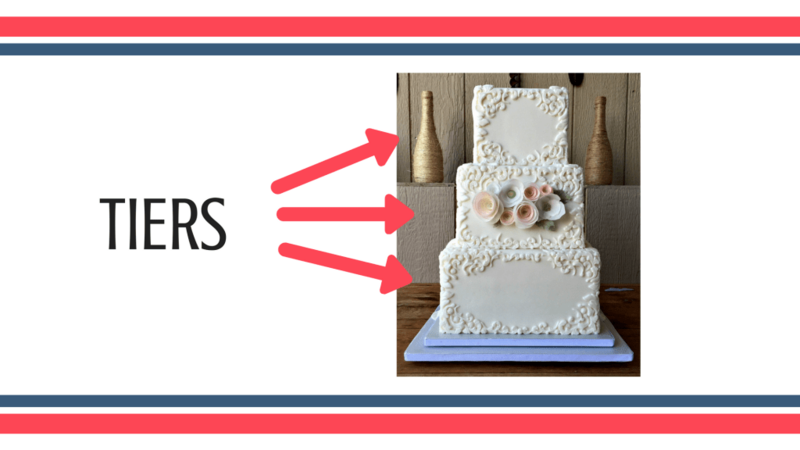 If you’re new to cake decorating and have tons of questions, this post is for you. 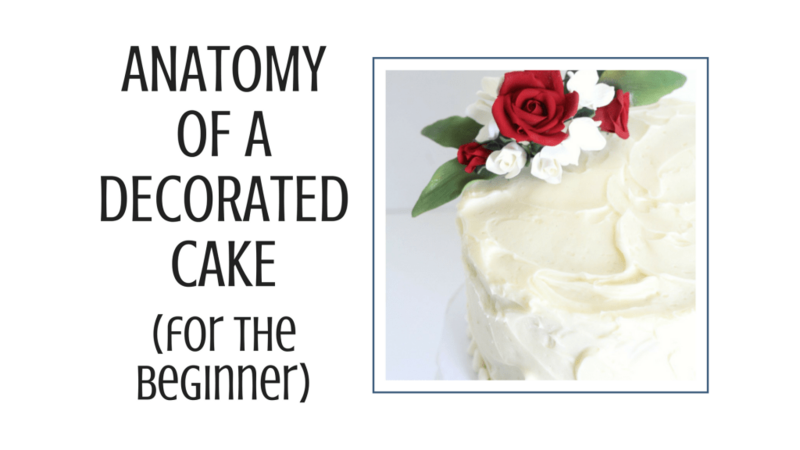 We’re talking about the Anatomy of a Decorated Cake…for the beginner. 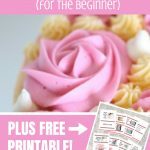 When I first started cake decorating, I had tons of questions. They were just general questions and for some of them, I felt like I was just asking a dumb question. But listen…there are no dumb questions. If you don’t know, then you don’t know and that’s okay! 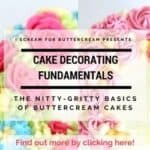 This post is all about the basics of putting a decorated cake together. We’ll answer all those questions in this post and I really hope it’ll clear a few things up for you. Oh and there IS a video close to the end of this post if you like to learn through videos instead of the written post. Ok, let’s get started with our first question. Alright, this seems to be confusing to some. I hear people say all the time, that they want a three ‘layer’ cake, or that their birthday cake had four ‘tiers’ and was really tall. What they meant was they had a three ‘tier’ cake, or their cake had four ‘layers’ in it and was really tall. 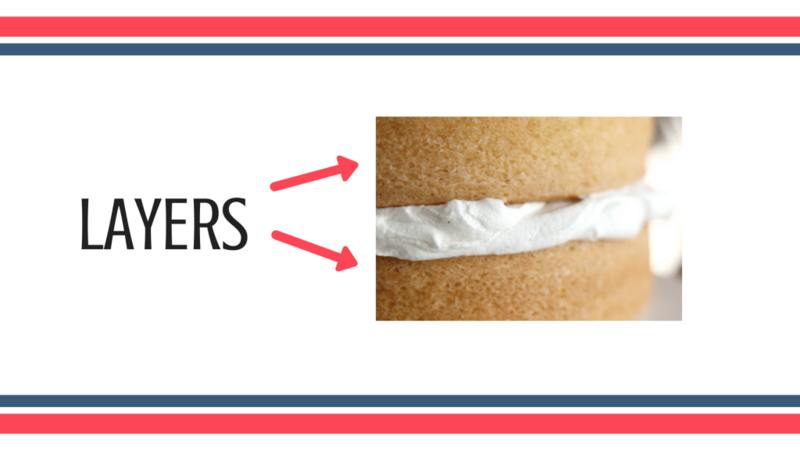 Here’s the deal: Layers are the actual ‘layers’ of cake with filling in between. 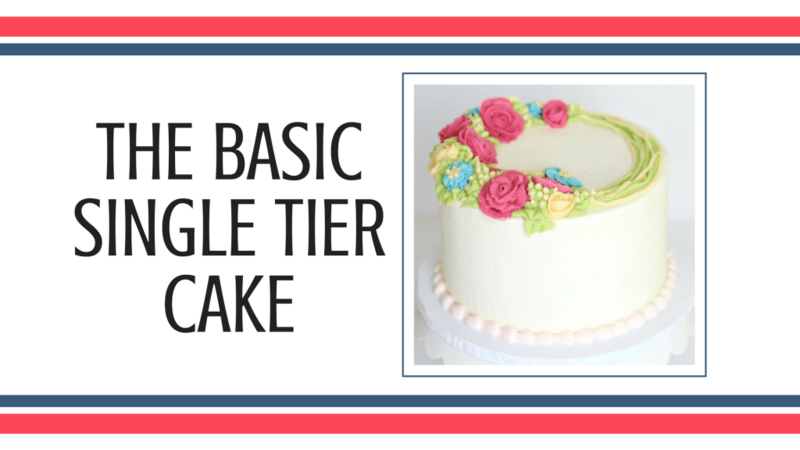 Layers of cake, make up a cake tier. For example this cake has three ‘tiers’. 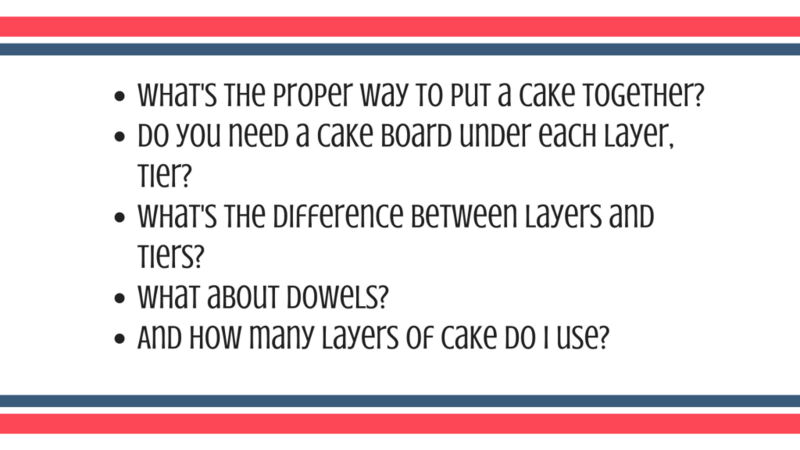 Normally, I like to use three ‘layers’ of cake per cake ‘tier. 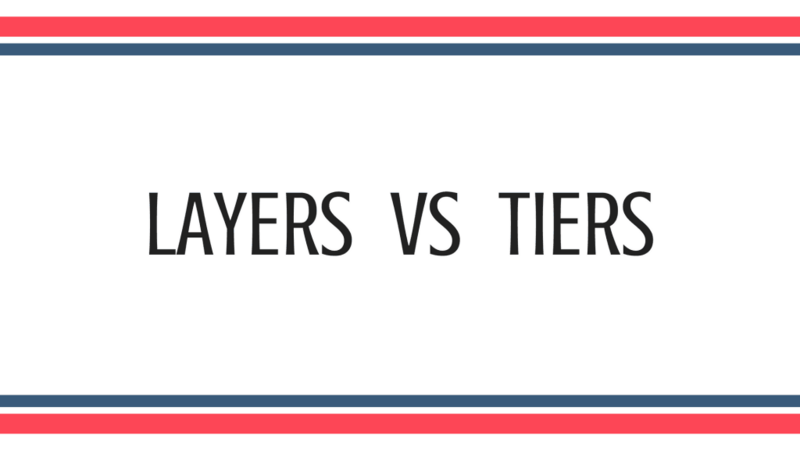 I think it just looks better since it makes that tier look a little taller. 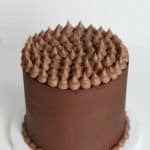 Some people just use two layers of cake with a layer of filling between them for one tier, but I like the taller look. 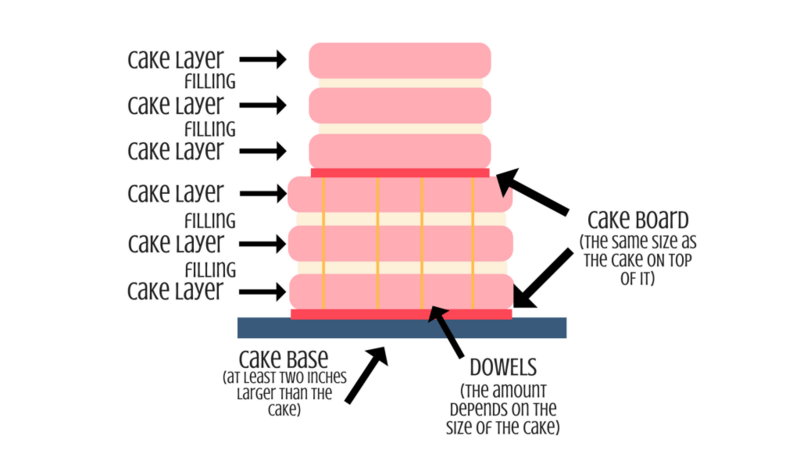 Another thing to note is that some people split their cake layers even more, so they have multiple thinner layers per tier. That’s called torting your cake. This is totally your preference, but you always want to make sure that your cake will be stable. 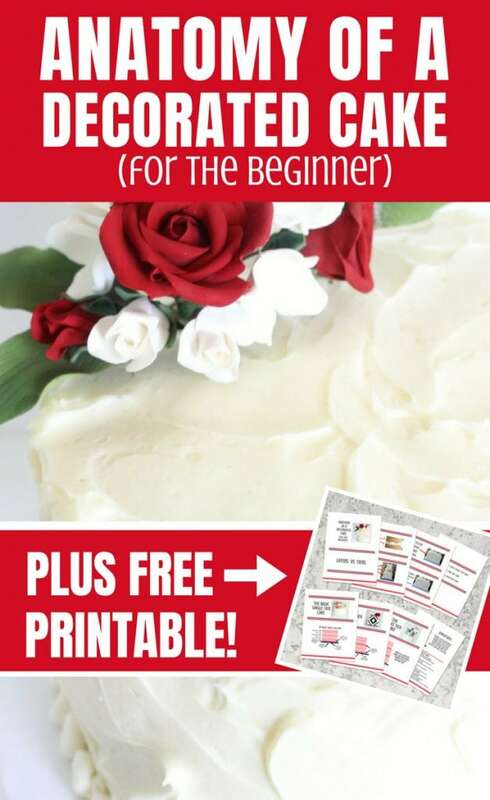 Ok, let’s get to the different types of decorated cakes. This one’s obviously the most basic, but once you get this one down, the others will come easy. 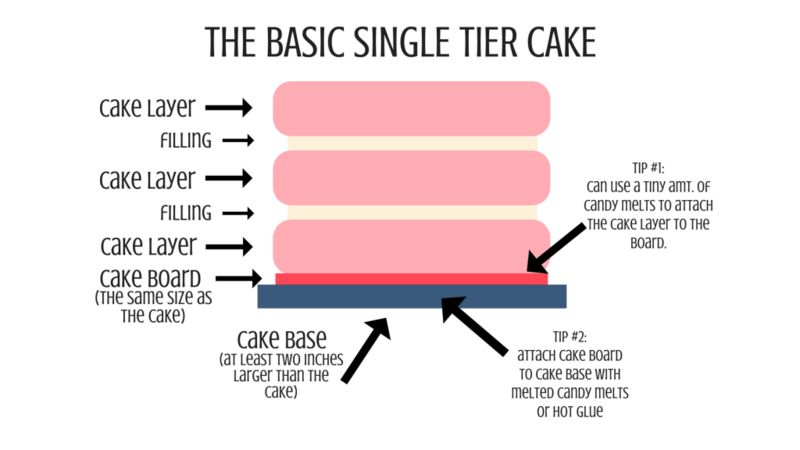 Here’s the anatomy of the single tier cake. I like to do three layers of cake with filling in between. 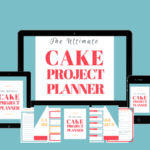 You’ll need a cardboard cake round under your cake tiers. It should be the same size as your cake layers. Sometimes I’ll use a bit of melted candy melts right in the middle to attach that bottom cake layer to the cardboard cake round…just a small dab. Some people use buttercream, but it’s hot here in Texas and that just doesn’t cut it for me. The bottom cake base baord is usually at least two inches bigger than the cake (and cake board) that is sitting on it. You can use foam core board, or take several cardboard cake boards together, or buy a premade base…whichever you prefer. 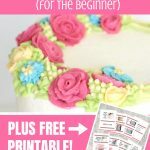 Just make sure that the base is sturdy enough for your cake that’ll be on it and won’t bend. I also like to attach that bottom cake board (the one that’s directly under the cake) to the cake base with either a little melted candy melts, or some hot glue. The hot glue will not be touching any cake, so it’s fine. Ok, onto the next cake. 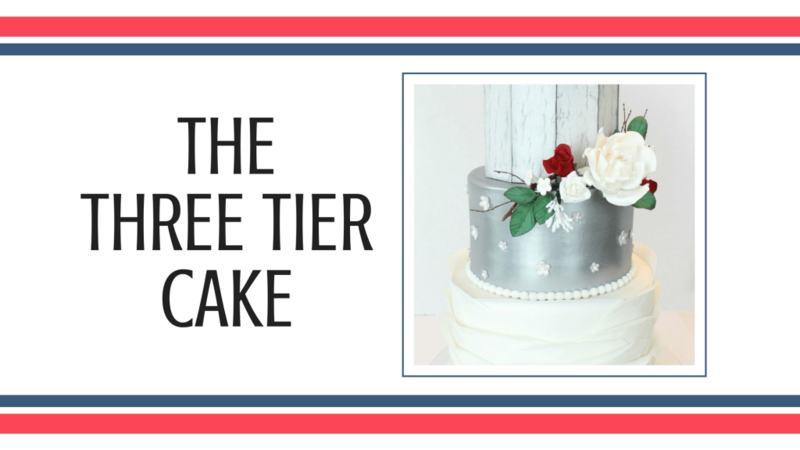 Ok, the two tier cake is much like the one tier, except you’ll be adding doweling into the bottom tier. So you’ll basically make two single tier cakes, but the bottom, larger size, you’ll add in dowels. 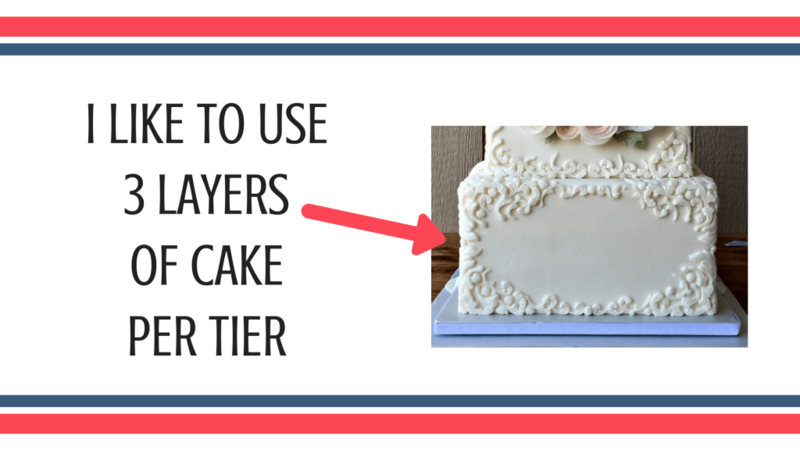 IMPORTANT: You have to have a cake board between the tiers, otherwise the dowels in the bottom tier will just poke right through the top tier of cake and the whole thing will collapse. Now, the amount of dowels will completely depend on the size of your cake and how heavy your tiers are. 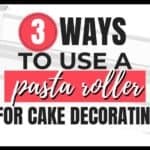 I use the bigger dowels for ganache and fondant covered cakes, or in the bottom tiers if it’s a three or higher tiered cake. Also, when you’re making a two tiered cake, it’s not really necessary to use a center dowel, but you can if you want more stability. 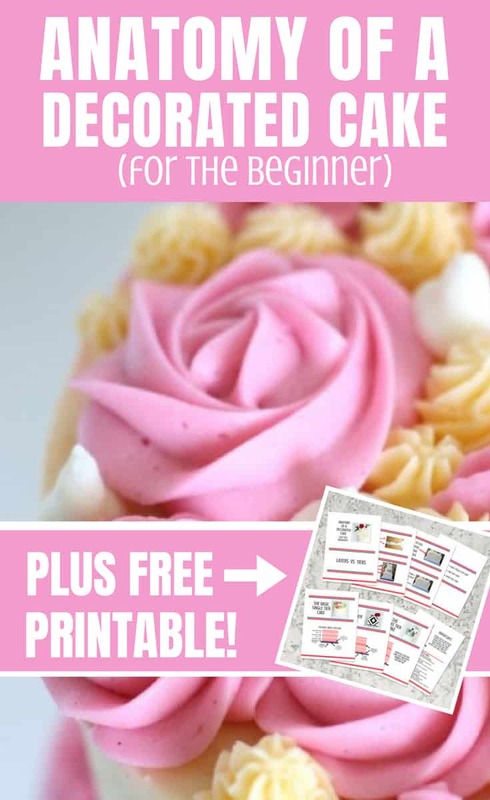 You’ll want to see my post on making tall cakes to see how that’s done. 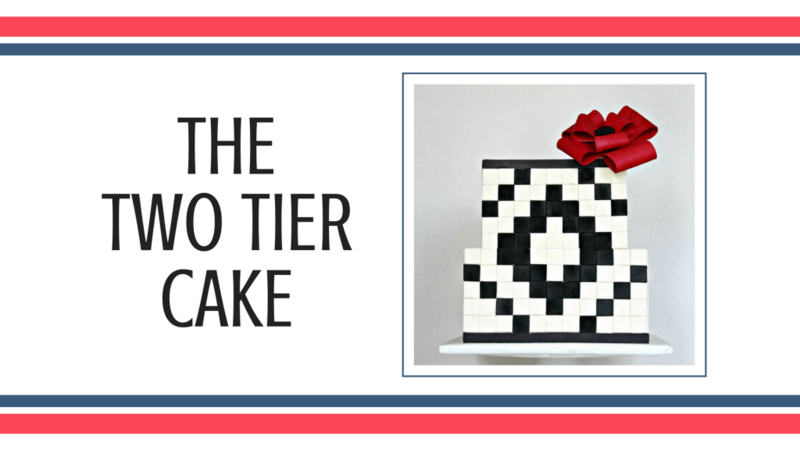 Once you’ve mastered the two tier cake…well, you’re on the home stretch now. 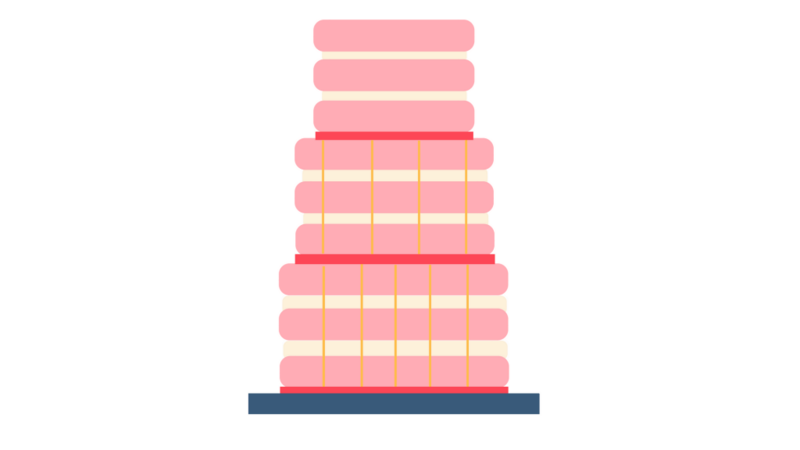 I didn’t go into too much detail on this graphic because it’s really the same as the two tier cake. Everything but the top tier gets dowels. 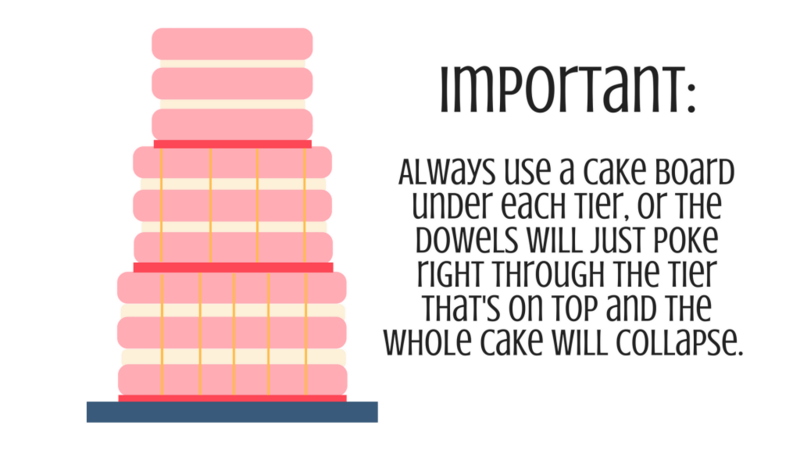 Remember to use the bigger dowels (or just use more dowels) for the bottom tiers, or if your cake tiers are covered with ganache and/or fondant and are heavier. IMPORTANT: Make doubly sure that your cake base is VERY sturdy. Cardboard cake rounds will not cut it with this kind of cake. You’ll want something very sturdy like foam core cake boards, or MDF boards. 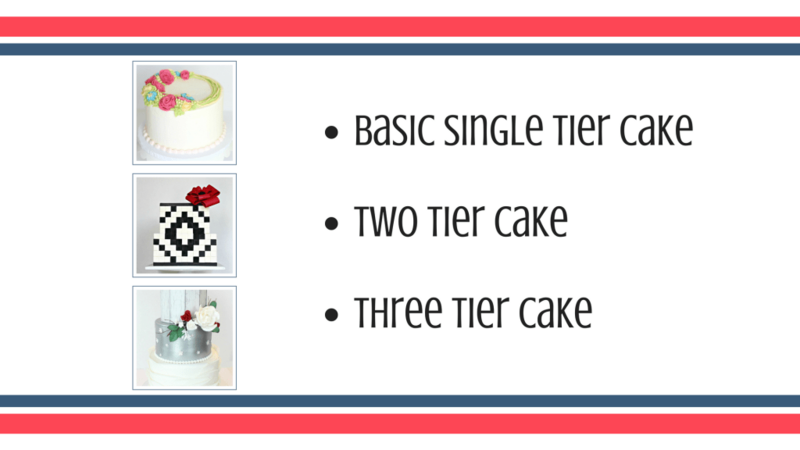 Also make sure to include a cake board under each tier. This is something I hear of all the time…people’s cakes collapsing because there’s nothing holding it up. Dowels won’t do you any good, if there’s no cake board above them to keep them from poking into the cake tier on top of it. Ok, so those are just the basics, but I hope it answers a lot of your questions. Ok, let me know if you have any other questions, or if anything has slipped my mind! Also, I’ve included a handy printable that includes all the graphics, so you can have them handy when decorating. Just sign up below to grab that download…it’s free. Great, I have been looking for this recipe for a very long time and I have got it. thank you so much for sharing such a great recipe with us. I will try this and will post the pictures too.